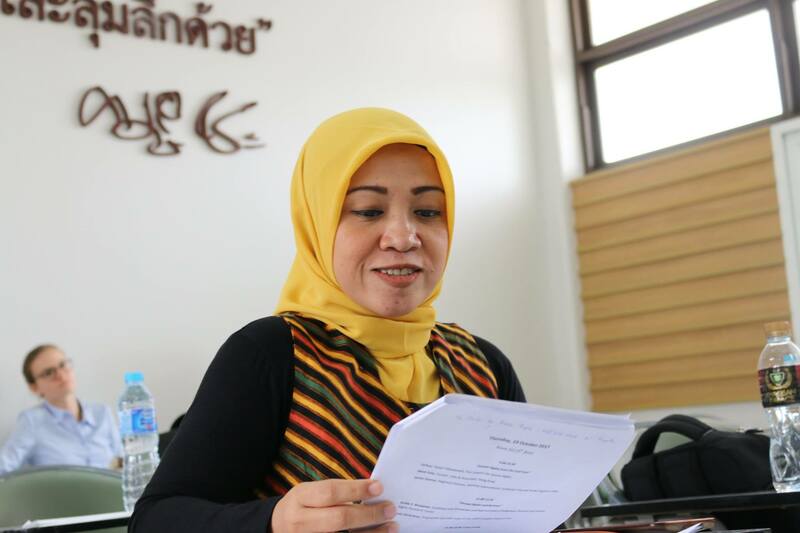 Jointly organized by CPG and the National Human Rights Commission of Thailand, with the support of the Hanns Seidel Foundation. 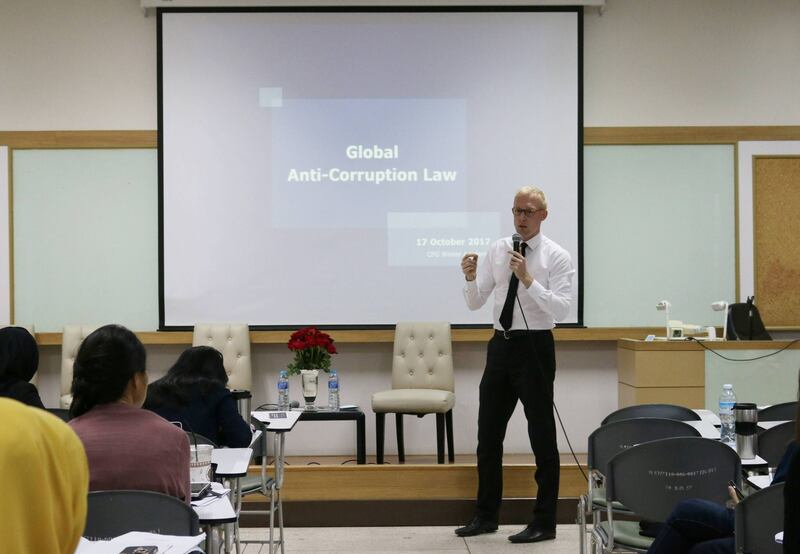 From 16 to 20 October 2017, CPG, in cooperation with the National Human Rights Commission of Thailand (NHRC) and with the support of Hanns Seidel Foundation (Thailand/Laos office) organized the CPG Winter Academy on Human Rights & Development 2017 at the Faculty of Law of Thammasat University in Bangkok. 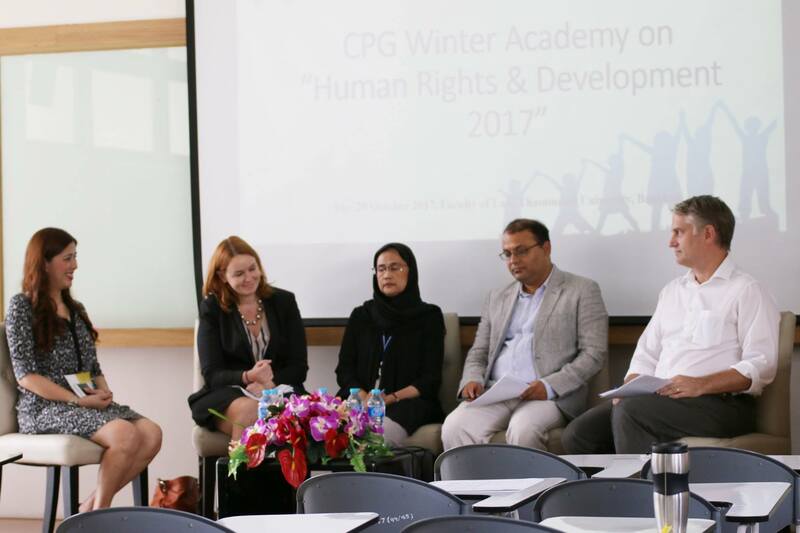 The CPG Winter Academy is a yearly one-week intensive course and provides comprehensive and in-depth knowledge on fundamental questions and current issues of human rights and development in theory and practice. 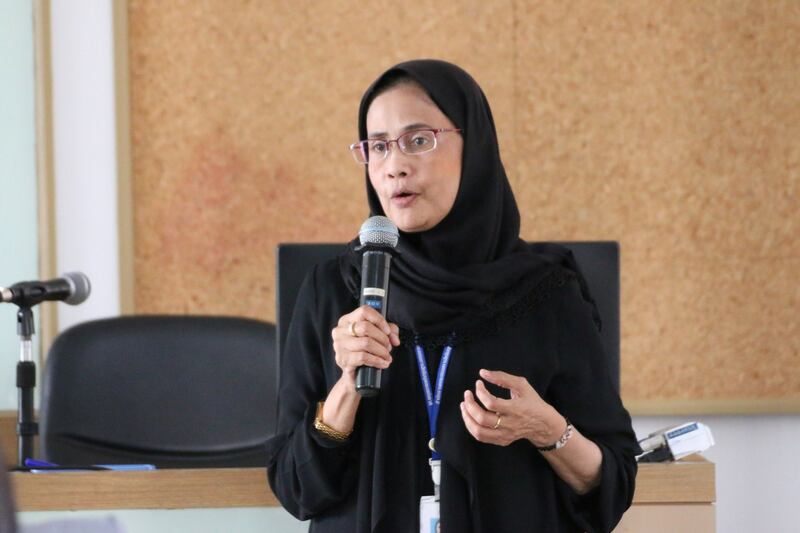 It offers lectures, seminars, panel discussions, workshops and debates by internationally recognized scholars, practitioners, and representatives from international and state organizations as well as from non-governmental organizations. 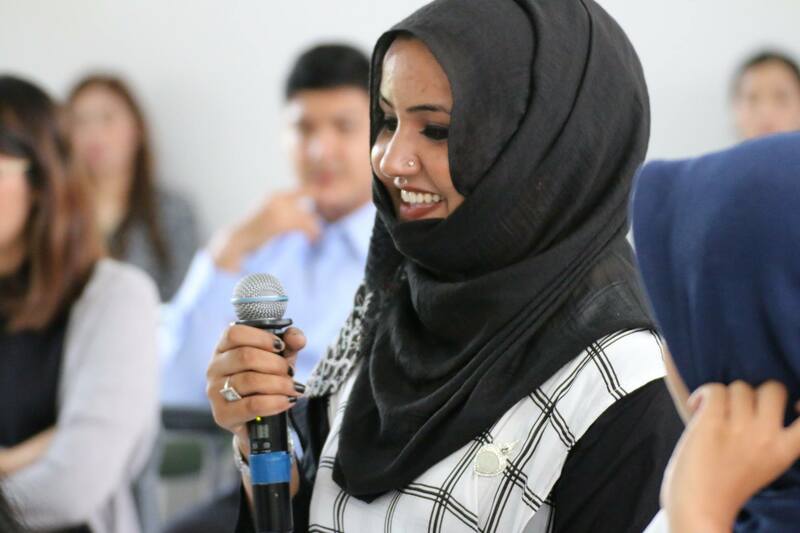 The Academy is conducted in English and is suitable for students, young academics, practitioners and other interested persons who want to enhance their knowledge in the respective fields. 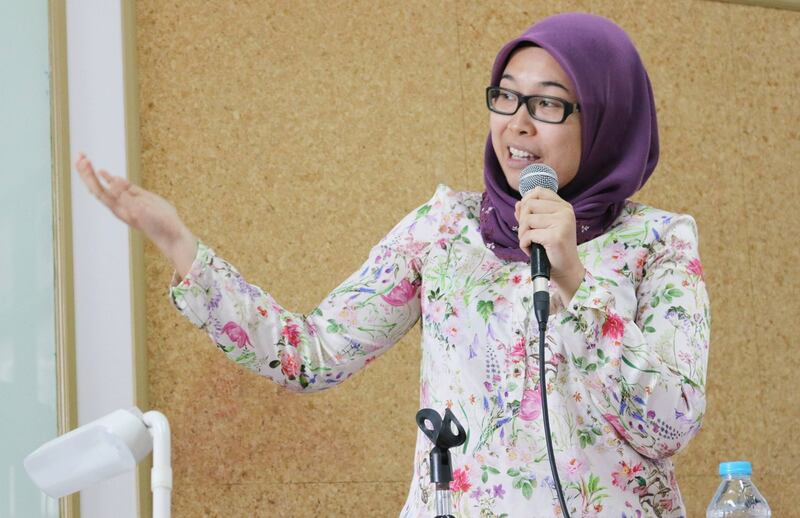 Topics covered include human rights theories, institutions and mechanisms of human rights protection, migration and refugees, child protection, human rights in business, internet and privacy, sustainable development, development financing, public participation and local government, good governance and anti-corruption, and energy development and environmental justice. 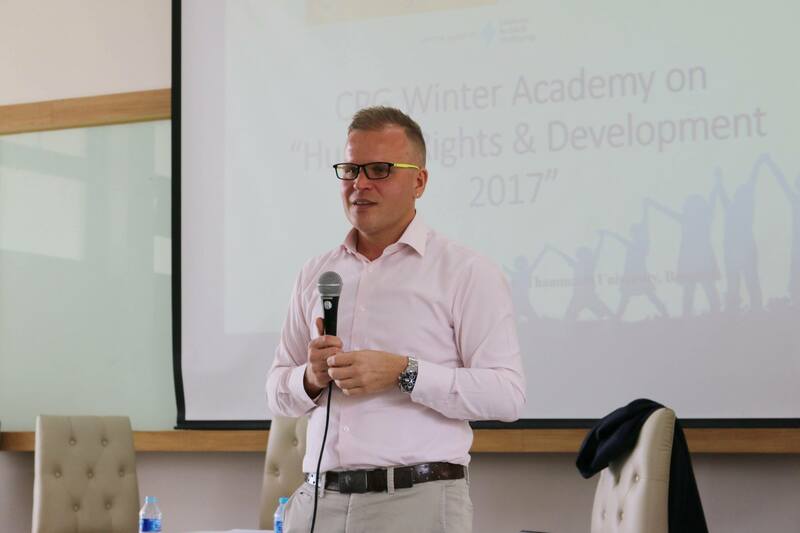 On Monday, 16 October 2017, Mr. Henning Glaser, CPG Director, opened the Academy with his presentation on “The Concept, Development and Critique of Human Rights”. 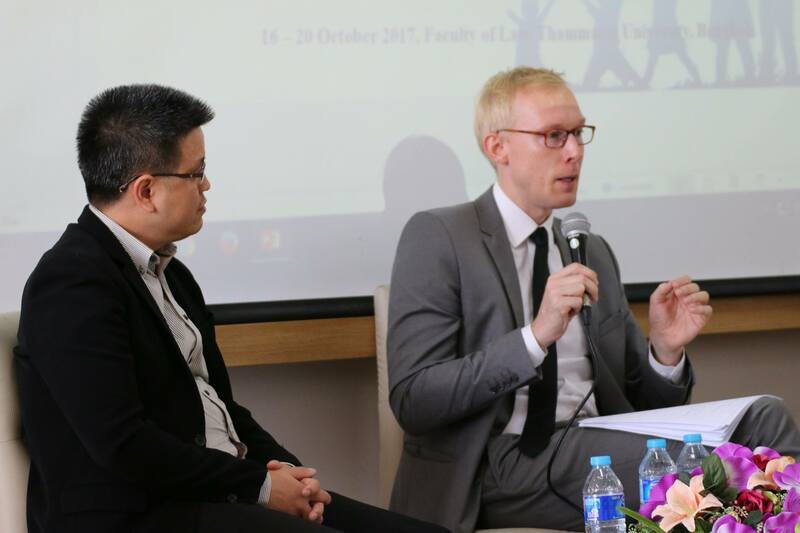 He was followed by Dr. Duc Quang Ly, CPG Project Manager, and Dr. Lasse Schuldt, DAAD Lecturer of Law, who engaged in a discussion titled “Debating Rights”. 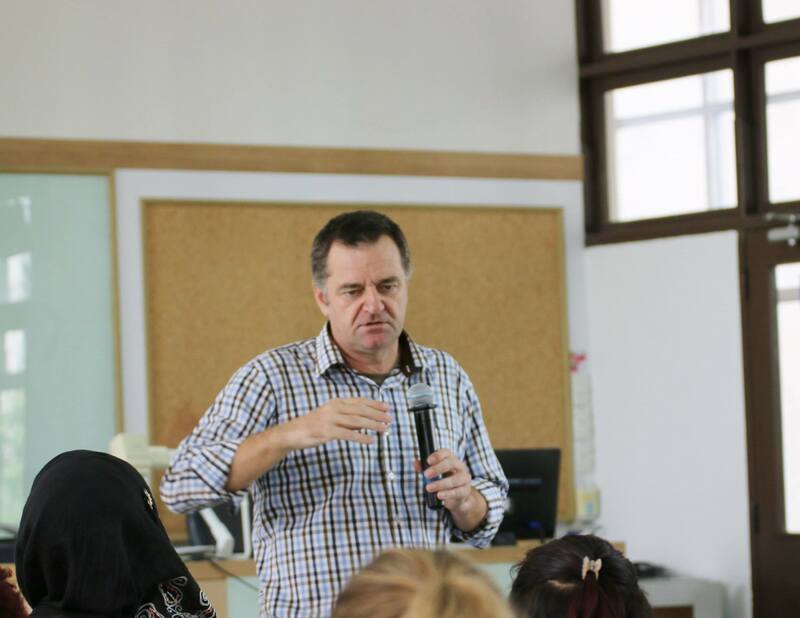 Dr. Michael Hayes, Institute of Human Rights and Peace Studies, Mahidol University, then informed the participants about “Mechanisms of Human Rights Protection”. 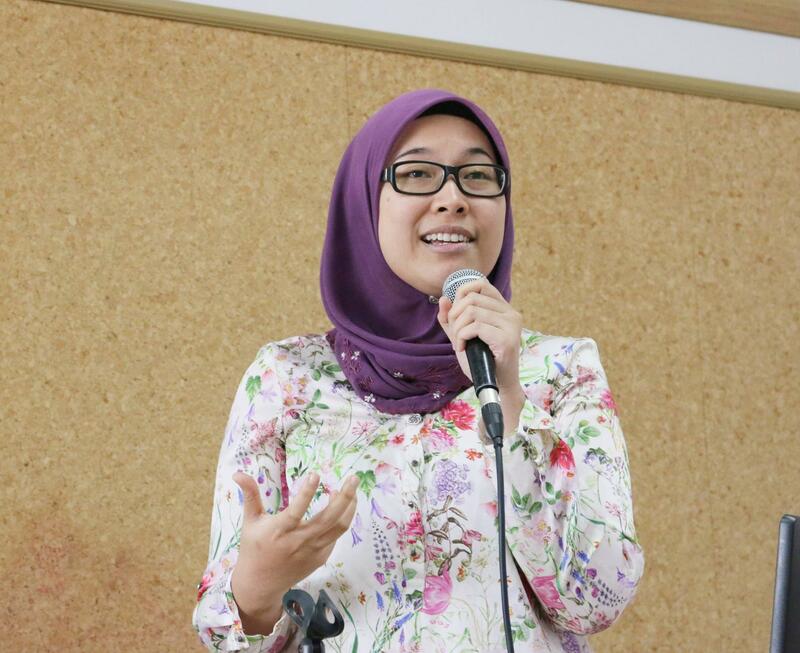 In the afternoon, two panel discussions introduced main actors of human rights protection. 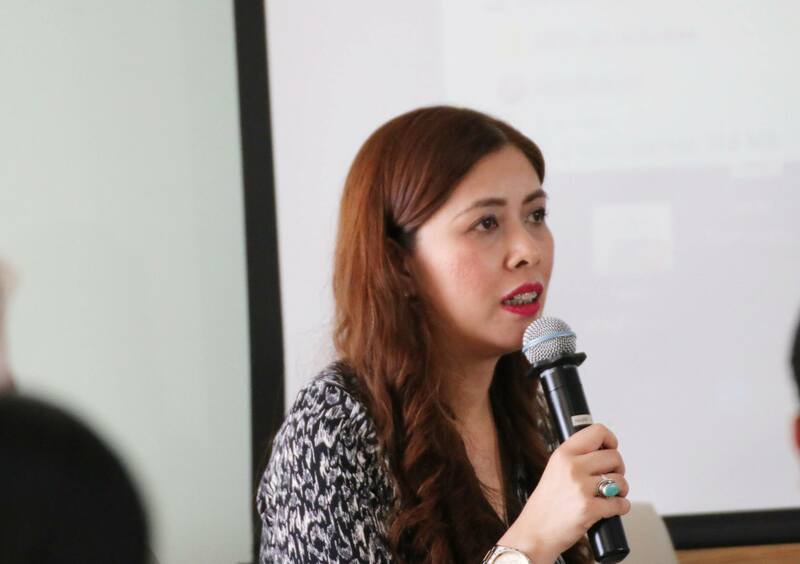 The first panel on “National Human Rights Commissions and International Organizations” consisted of Mrs. Angkhana Neelapaijit, Commissioner, National Human Rights Commission of Thailand, Atty. Jacqueline Ann C. De Guia, Director for Public Affairs and Strategic Communication, Human Rights Commission of the Philippines, Ms. Anna Platonova, Senior Programme Manager, International Organization for Migration (IOM), Mission in Thailand, Mr. Imesh Pokharel, Team Coordinator, Thailand Country Program, UN Office of the High Commissioner of Human Rights (OHCHR) for Southeast Asia, and Mr. Gary Risser, Chief, Child Protection Division, UNICEF, Bangkok Office. A joint dinner rounded off the day. The second panel covered “Human Rights Protection by Non-Governmental Organizations”. The panelists were Mr. Kingsley Abbott, Senior International Legal Adviser, Southeast Asia, International Commission of Jurists, Ms. Pornpen Khongkachonkiet, Chair, Amnesty International Thailand, and Director, Cross Cultural Foundation, Thailand, and Mr. Sunai Phasuk, Senior Researcher, Human Rights Watch. The second Academy day, Tuesday, 17 October 2017, was opened by Mr. Michael Bäk, Advisor to the United Nations Resident Coordinator, Bangkok, and his lecture “Introduction to Development”. 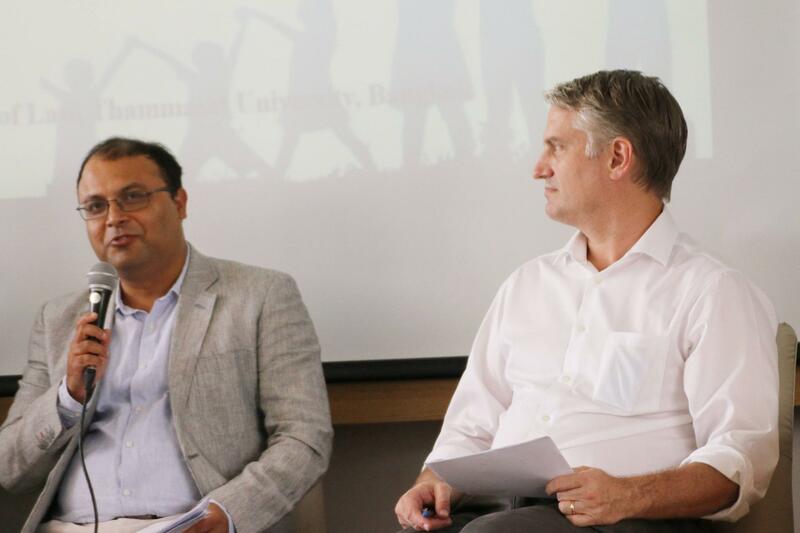 He was followed by a panel discussion on “The International Political Economy of Development”. 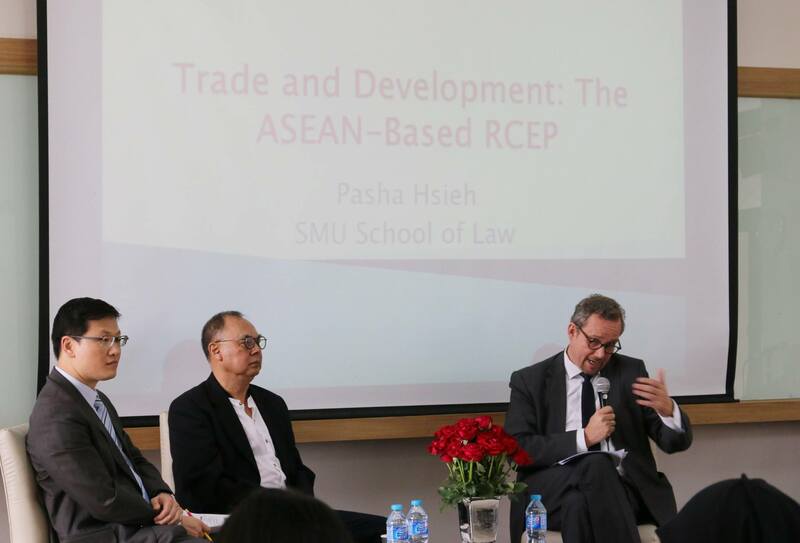 The panelists were Mr. Philipp Dupuis, Minister Counsellor, Head, Economic and Trade Section, Delegation of the European Union to Thailand, Dr. Pasha L. Hsieh, Associate Professor of Law, Singapore Management University School of Law, and H.E. Kasit Piromya, National Reform Steering Assembly, former Foreign Minister of Thailand. In the afternoon, Ms. Elodie Beth, Regional Advisor, Governance and Peacebuilding, UNDP Bangkok Regional Hub, Ms. Fadiah Nadwa Fikri, C4 Center, Melangor, Malaysia, and Mr. David Lyman, Partner, Tilleke & Gibbins, Bangkok, discussed “Legal Infrastructure for Development: Good Governance and Anti-Corruption”. 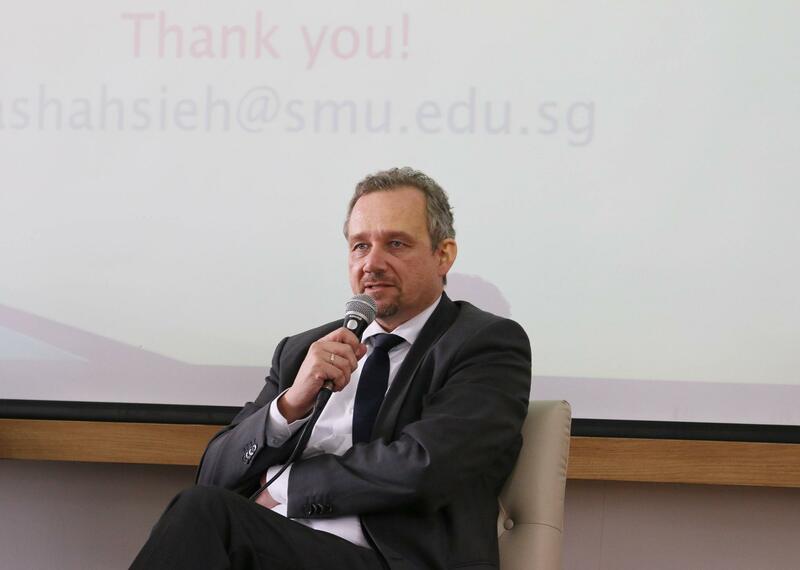 After that, the topic of “Development, Good Governance and Global Law” was debated by Mr. Henning Glaser, CPG Director, and Dr. Lasse Schuldt, DAAD Lecturer of Law. 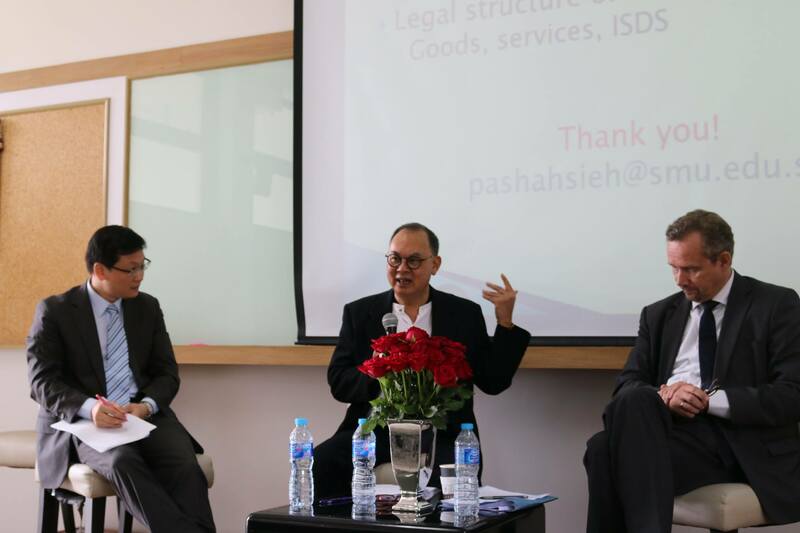 Wednesday, 18 October 2017, was opened by a panel discussion on “Human Rights and Migration” consisting of Dr. Naparat Kranrattanasuit, Institute for Human Rights and Peace Studies, Mahidol University, and Ms. Kohnwilai Teppunkoonngam, Thailand Institute of Justice, Project Manager, Transnational Organized Crime. The rest of the day featured the topic of “Abuse, Exploitation and Trade of Children”. 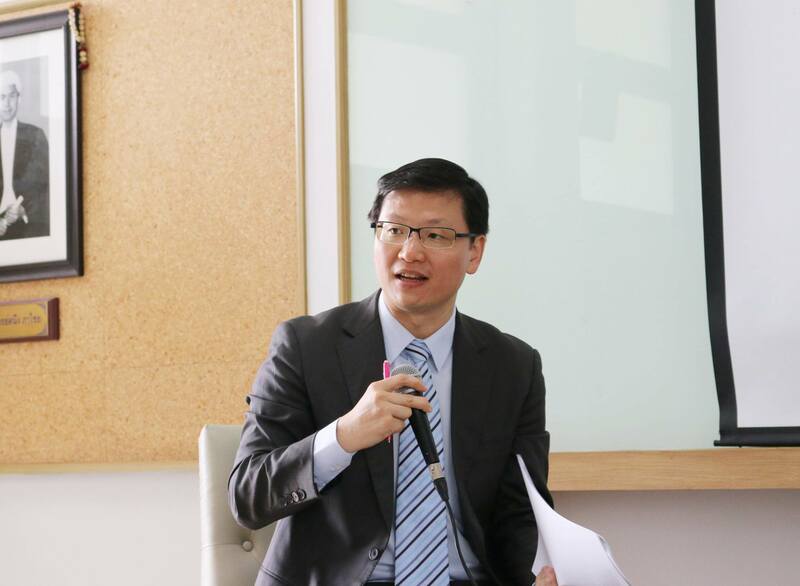 The first panel on this topic consisted of representatives of non-governmental organizations. These were Dr. Jompon Pitaksantayothin, Faculty of Social Science and Humanities, Mahidol, Ms. Sudarat Sereewat, FACE Foundation Thailand, Ms. Andrea Varrella, ECPAT International, Bangkok Office, and Mr. Moden Yi, Community Engagement Team Leader, APLE Cambodia. Then, the following panel took the view of law enforcement. The panelists were Mr. Bruno Desthieux and Mr. Apichart Hattasin, Crimes Against Children, Vulnerable Communities, Organized and Emerging Crime Directorate, INTERPOL Liaison for Asia and South Pacific, and Mr. Joseph Fonseca, Special Agent, Southeast Asia Regional Assistant Legal Attaché, Embassy of the United States of America in Bangkok. 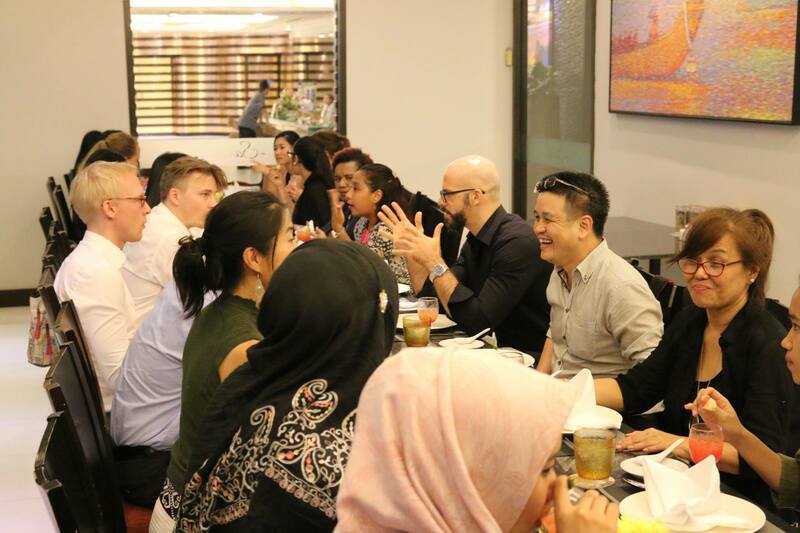 In the afternoon, the participants went on a joint trip, and in the evening, everybody joined for a dinner cruise on the Chao Phraya river. 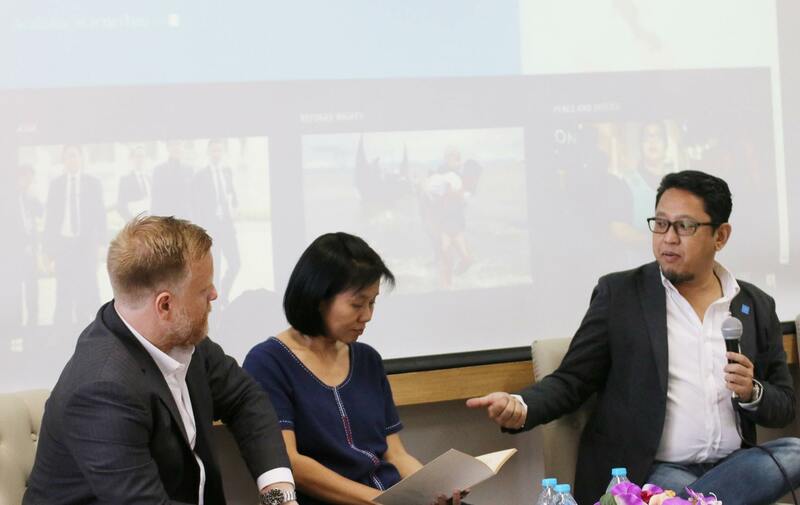 On Thursday, 19 October 2017, Ms. Sirikan “June” Charoensiri, Thai Lawyers for Human Rights, Mr. Mark Daly, Partner, Daly & Associates, Hong Kong, and Mr. James Gomez, Regional Director, Amnesty International, Southeast Asia and Pacific Regional Office, discussed the work of human rights lawyers under the topic “Human Rights from the Coal Face”. 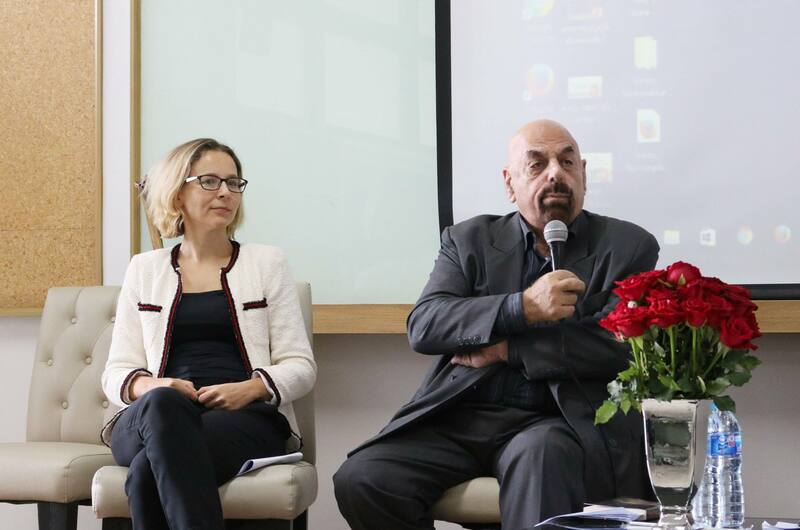 They were followed by a panel on “Human Rights and Business”, consisting of Ms. Golda S. Benjamin, Southeast Asia Researcher and Representative (Philippines), Business and Human Rights Research Center, and Mr. Livio Sarandrea, Programme Specialist Rule of Law, UNDP Bangkok Regional Hub. 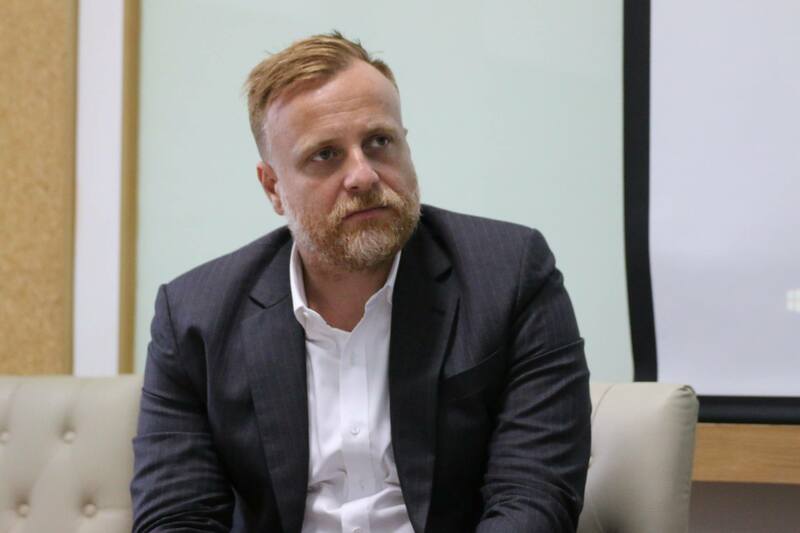 The afternoon session started with the topic “Self-Development – Public Participation and Local Government” and presentations by Ms. Katrin Bannach, Friedrich Naumann Foundation for Freedom, Bangkok Office, and Dr. Jonathan Liljeblad, Senior Lecturer of Law, Swinburne University of Technology. After that, Dr. Terry van Gevelt, Assistant Professor, Department of Politics and Public Administration, Hong Kong University, and Dr. Carl Middleton, Faculty of Political Science, Chulalongkorn University, discussed development challenges and policies under the topic “Affordable and Clean Energy vs. Economic Growth?”. 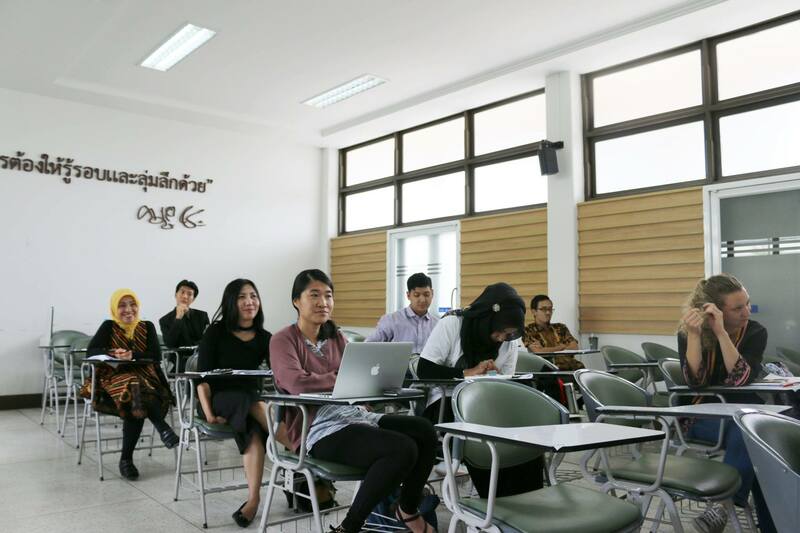 The last Academy, Friday, 20 October 2017, started with a lecture by Mr. Arthit Suriyawongkul, Thai Netizen Network, on “Human Rights and the Internet”. Then, Prof. em. 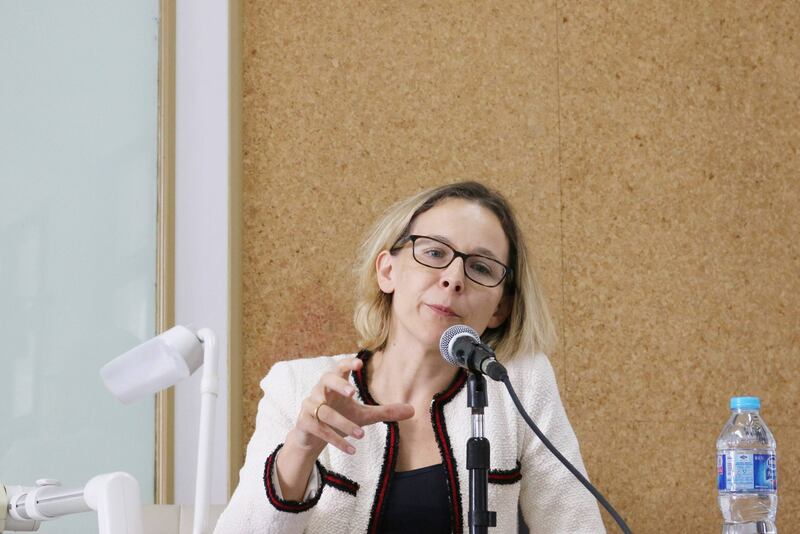 Dr. Ingwer Ebsen, Faculty of Law, Goethe University Frankfurt, spoke about “Social Protection and Social Security: Concepts, International Standards, Challenges”. 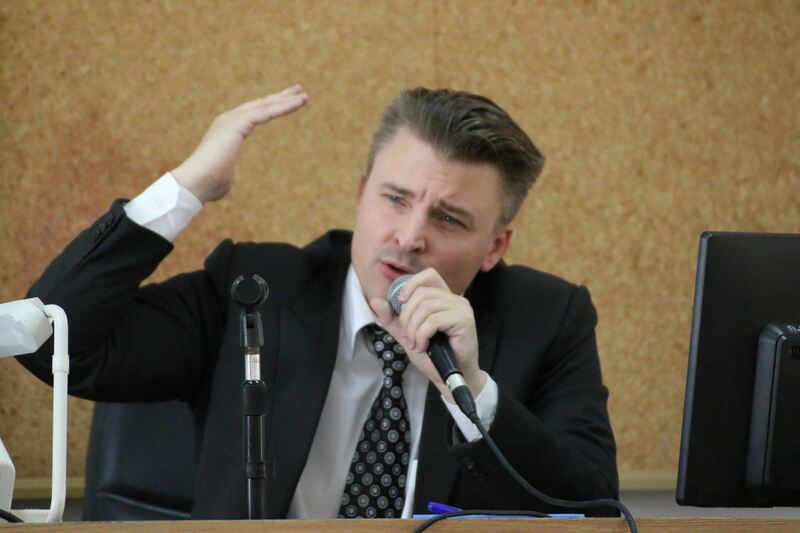 Finally, Prof. Dr. Niels Petersen, Faculty of Law, University of Münster, gave a lecture on “Political Rights in International Law”. 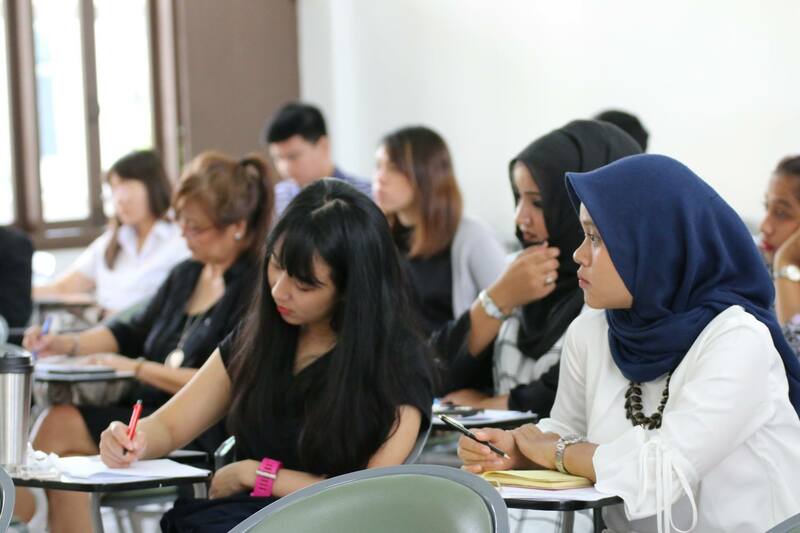 After that, this year’s participants from Indonesia, Malaysia, Myanmar, the Philippines and Thailand received their certificates and the Academy was closed. See you again next year!